☤SnK☤(Christa & Ymir). 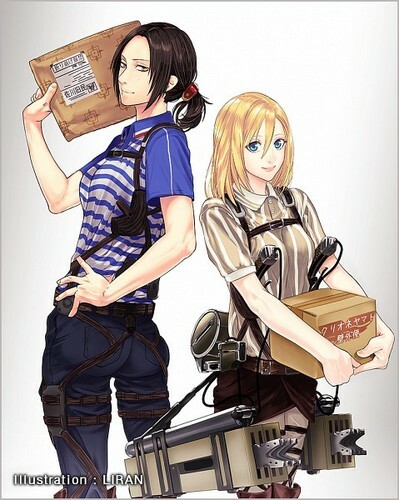 Christa and Ymir. Wallpaper and background images in the Shingeki no Kyojin (Attack on titan) club tagged: shingeki no kyojin. This Shingeki no Kyojin (Attack on titan) fan art might contain teken, poster, tekst, bord, schoolbord, verpakking doos, verpakking case, verpakking box, and verpakking geval.